Taking care of your teeth is important for your overall health. 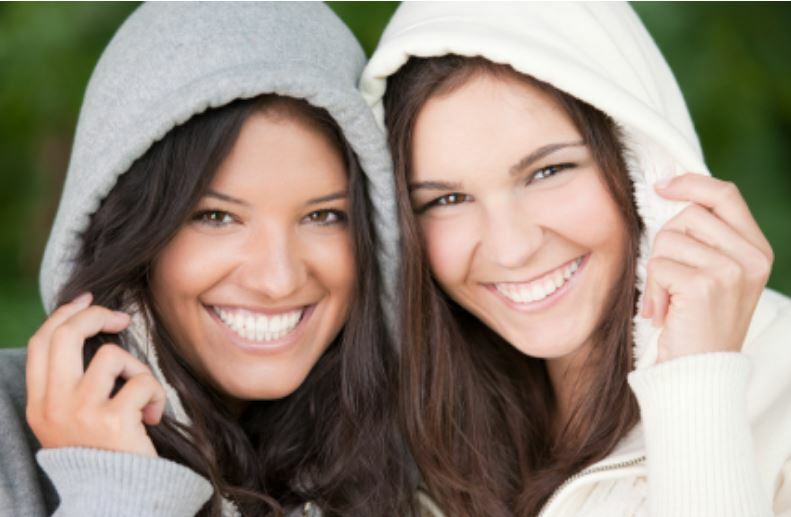 The quality of your smile also affects how much you show off your teeth and your overall mood in general. Of course, you can smile and laugh no matter what your teeth look like, but you’re more likely to do it if you know that you have a smile worth showing off. You’ll get a big boost of self-confidence, and some other great physical and mental benefits. When you are in a bad mood, the last thing you feel like doing is smiling or laughing. But did you know that faking it can help improve your mood? Just the act of curling your lips into a smile or letting out a small giggle is enough to trigger your brain into feeling happier. That sounds like something that’s too good to be true, but studies show that it does in fact happen. Try it the next time you are feeling angry or sad and see what happens. It might feel weird at first, but it could turn into a long-term coping strategy for when those feelings arise. Those effects are even further amplified when you turn that smile into a full-blown laugh. Laughing stimulates circulation and helps your muscles relax. Those positive effects are felt for up to 45 minutes after the laugh ends. Not only will you help yourself feel better when you smile and laugh, but you’ll also give the signal to others that you’re a good person to be around. You probably don’t want to be around other people when they are in a bad mood, so why would you expect anyone to want to be around you when you are in a bad mood? The more you can engage and interact with others, the happier you’ll be. It’s a cycle that’s worth getting into. Smiles and laughter are contagious — whenever you see someone else doing it, you can’t help but do the same. You can thank your mirror neurons for that. Whenever we see someone doing certain behaviors, we feel inclined to do the same. Sharing a laugh with others also helps you deepen your bond with them and makes you more likely to share information and have a healthy long-term relationship. Work might not be a place that makes you smile or laugh, but the more you can do those things, the more productive you will be. When you smile and laugh, your mood improves and you’ll be able to better focus on the task at hand. Once the job is done, you’ll have more time to focus on the things in your life that matter outside of work and set your sights on the things that make you truly happy. Again, this is a positive cycle to enter into. The more productive you are, the happier you’ll be and vice versa. This is something everyone can try, even if it means starting with a fake smile, no matter what you do for a living. Beyond mental health, smiling and laughing can also help your physical state of being. Laughing works your abdominal muscles and releases endorphins that can alleviate pain and boost your immune system. Studies have even found that smiling and laughing can help decrease your risk for heart disease because they literally protect the heart and prevent the buildup of fat and cholesterol. These actions can also lower your blood pressure and keep it that way for up to 24 hours. Putting all of the scientific research aside, the best reason to do more smiling and laughing is that it makes you feel good. We should all strive to spend time doing things that make us feel that way, and that begins with smiling and laughing. Whether your teeth look the way you want them to or not, everyone can benefit from a happier life. Don’t let the state of your teeth get in the way of that.